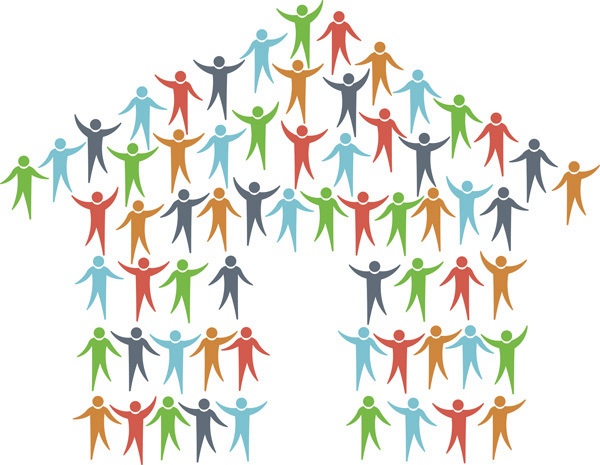 TSAHC is seeking sponsorships to support Housing Connection, our education initiative for housing counselors who help educate buyers about homeownership. For full details, click here to view our Sponsorship Flyer. Sponsorship Restrictions: TSAHC cannot accept sponsorships from corporate entities whose practices contradict the values contained in our mission to serve the housing needs of low and moderate income Texans. Examples of these entities include, but are not limited to, for‐profit credit repair organizations and high‐cost financial services providers (e.g. payday loan providers). This policy ensures Housing Connection is in line with TSAHC’s mission and purpose stated under law. Sponsorship participation does not include listing as a preferred lender on TSAHC’s online lender search tool for down payment assistance and MCC programs. While we will provide the recognition listed above, no goods or services will be provided in exchange for your sponsorship. 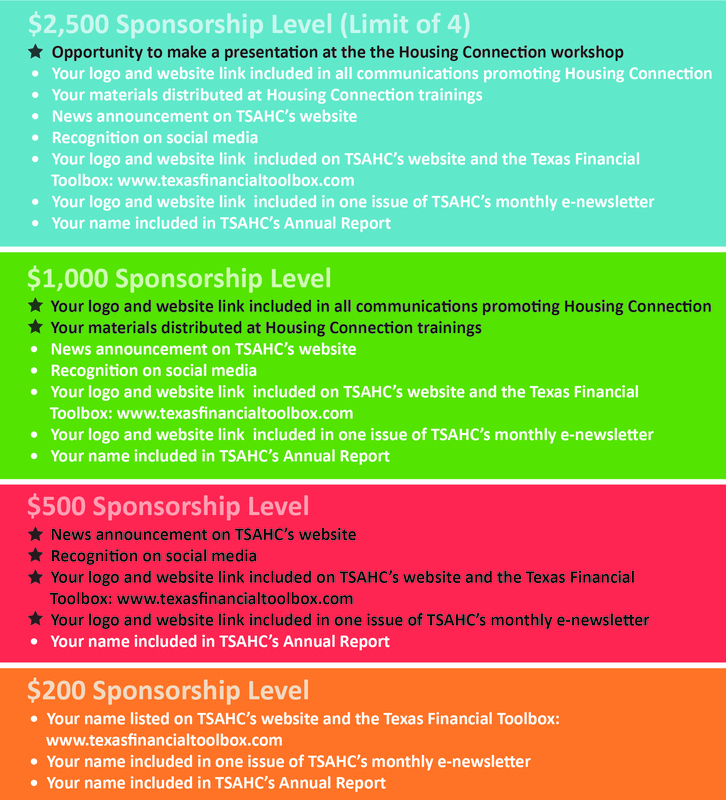 View TSAHC's Sponsorship Flyer including a list of sponsor benefits and guidelines.